Why Buy at Cable Dahmer Kia? 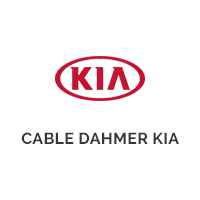 Why buy at Cable Dahmer Kia? Because customer satisfaction is our number one goal. Kansas City drivers can look forward to the best in customer benefits and service, starting with the exceptional Cable Dahmer Difference. When you shop at Cable Dahmer Kia, you’ll discover some unique customer benefits. Our inventory is filled with a wide variety of options, including tons of offers and incentives and used models from other manufacturers, like Chevrolet. Our staff takes the time to listen, and create a positive, professional, and welcoming environment that keeps customers coming back. We have a long record of excellent customer service, and our customer testimonials say it all. Stop by our dealership to learn about the Cable Dahmer Difference, and we’ll make sure you’re back on the streets of Independence in no time. We’d love to hear from you, so contact us today with any questions! 0 comment(s) so far on Why Buy at Cable Dahmer Kia?